As the High School basketball season begins to wind down, we asked the public to vote for their Player of the Year in Kentucky and Tennessee, our main coverage area. We never anticipated the response we got. Over 23,000 votes were cast for a list that included 25 candidates from all over Tennessee and Kentucky. The poll was set-up through wordpress, and was assigned to not take more than 1 vote per IP address. 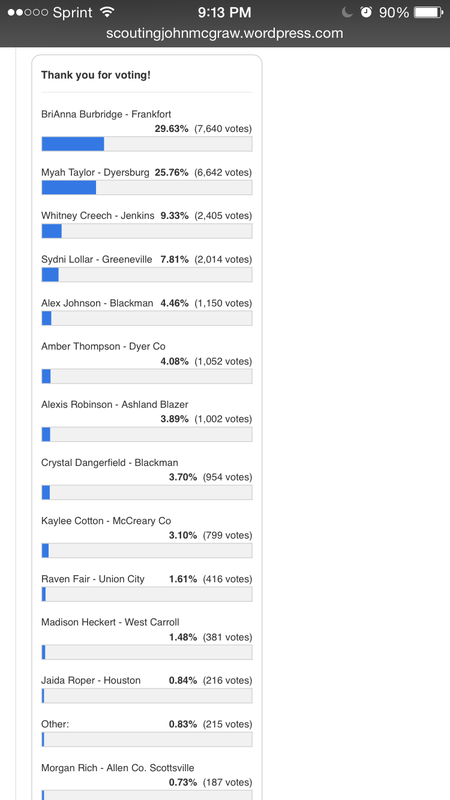 We held voting open for a 5 day period and in the end BriAnna Burbridge from Frankfort came out on top, despite a close race with Myah Taylor from Dyersburg. 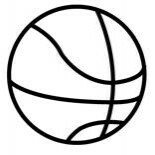 The people’s choice – BriAnna Burbridge from Frankfort HS (KY) is averaging 26.8 points per game on 44.1% FG percentage, including 33% from 3pt range. She’s made 83 for 109 from the free throw line for a 76.1%. She also leads her team in rebounding at 12.5 per game. 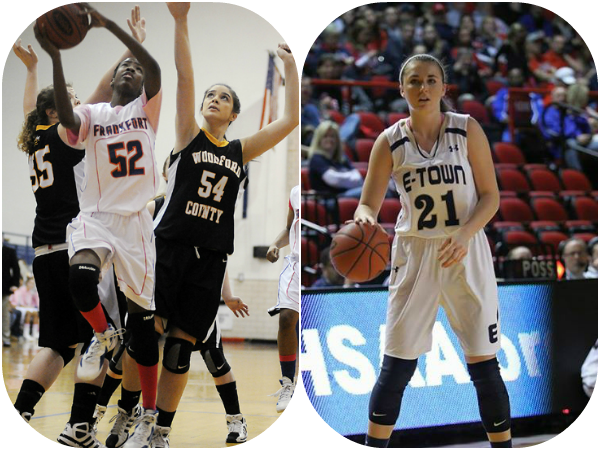 John McGraw Scouting Staff’s choice – Erin Boley from Elizabethtown HS (KY) has led her team to a 20-2 record, while averaging 20.1 points per game, shooting 53.2% from the floor. She’s made 38% of her 3pt attempts and is 69 for 77 from the free throw line (89%). She also led’s her team in rebounding at 11 per game. This entry was posted on January 26, 2015 by johnmcgraw49.